One child per family; one Ganesha idol per colony? “What’s in a name?” Aha! What’s in 108 names? This entry was posted in Life Etcetera, Mysore-Bangalore and tagged Churumuri, Karnataka Photo News, KPN, PCB, Sans Serif. Bookmark the permalink. I hate three of our festivals, not for what they are but for how they are celeberated – holi, diwali and Ganesha festivals. Holi – hooligans spray colors whether you wish or not. Some goons sprayed colors on a friend even though he was going to attend an interview! Diwali – crackers without any courtesy. People don’t even have the basic common sense to clean up after playing with them. They don’t have any sense of how much sound they make either. 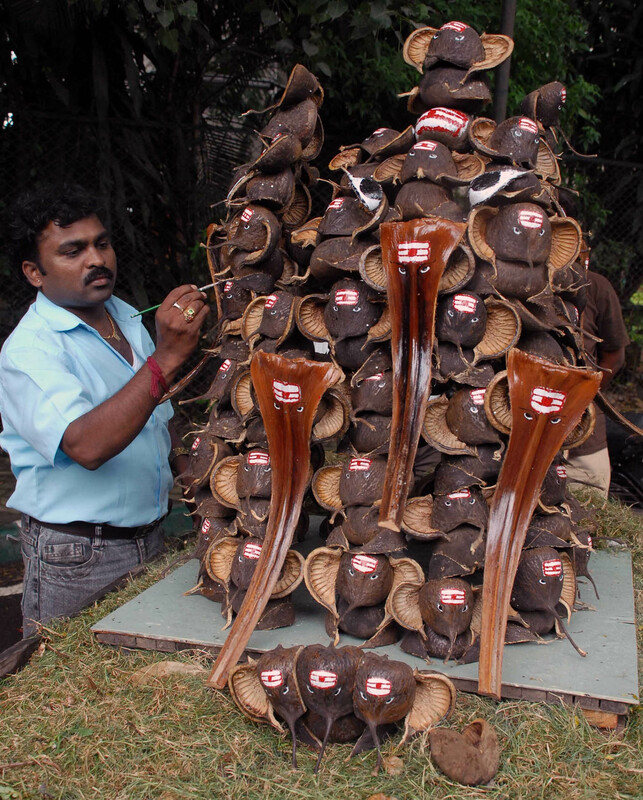 Ganesha festival – in the name of community Ganesha, thugs collect money, drink and dance. If you don’t give them money they threaten you in the name of Ganesha! Ganesha “pendals” block traffic for months. How can anyone use roads for such illegal constructions?